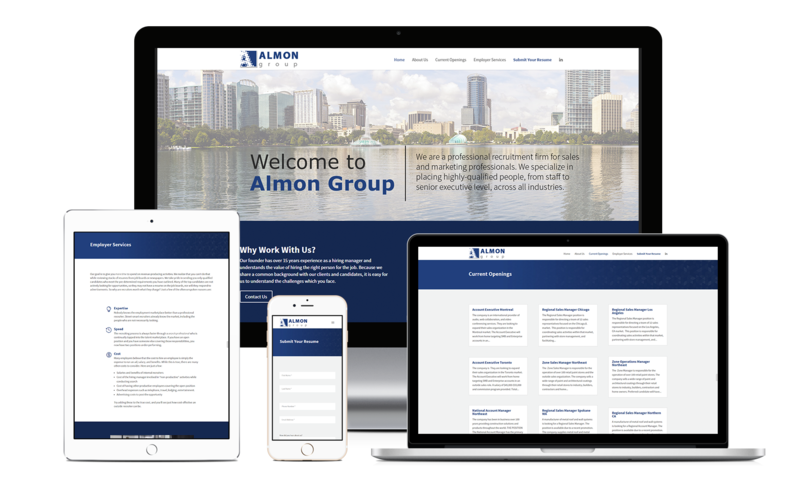 Almon Group is a recruitment firm specialized in placing sales and marketing professionals, and they are located in Orlando, FL. This website was built with the Divi theme from Elegant Themes and included job postings and custom forms. I had a website that hadn’t been updated in 10 years. 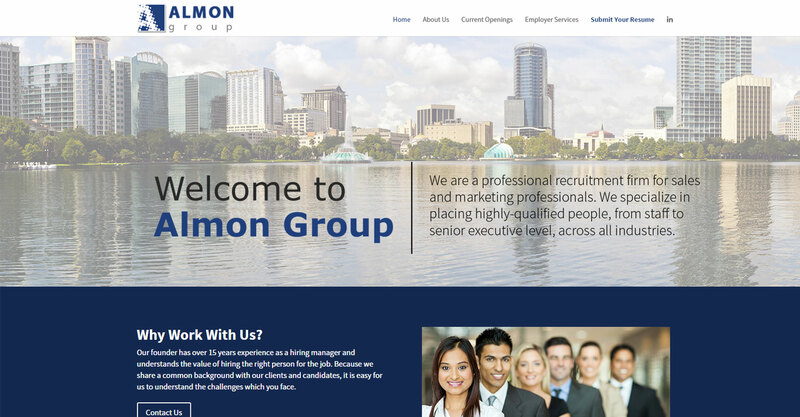 I needed a new site that was mobile friendly and that I could have job postings for potential candidates to review. I also wanted any new job posting to automatically be posted to my LinkedIn page. Jessica listened to what I wanted in my new website and within a couple days had some ideas available for my review. After a few changes to her initial ideas she put together the final site and it looked great. She handled everything from start to finish very professionally and was great to work with. All of things I wanted in my site were included and I’m very happy with the site. Jessica is a pleasure to work with and cares about making her customers happy. I would highly recommend Jessica if you need work on your web site.